Life's too short for boring jewellery, so say hello to this outfit-making cuff. 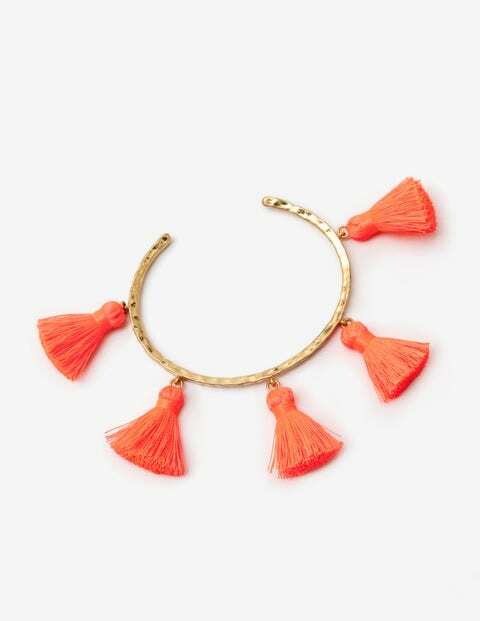 Complete with colourful tassels, this hammered metal design brings a generous dose of fun to your outfit. The half-moon shape is perfect for slipping on when you’re already halfway out the door – wear one at a time or stack all three to really make a statement. The tassels on the Watermelon Punch (PNK) option are neon.